NOTE: What is Last-Chance Apolcalypse Shopping all about? Imagine the S has hit the fan in a big way. You’re mostly prepped but you have one final chance to hit a store for some last minute shopping. What if that store is Walgreens, Sally Beauty, or Tractor Supply? You’ll need to think way outside the box as you shop for goods that will help see you through the apocalypse. It’s going to take some creative thinking for sure. Oh, Harbor Freight… you had me at that plastic smell. As I wander through the isles I realize that I have never left this store with just the items on my list. Somehow other small goodies always manage to make their way into my basket. These would include flashlights, gardening gloves, and a machete, just in case you were wondering. Harbor Freight is a fun place to look for prepping items if you have an eye for them. Each time you hit this store, you find things you haven’t seen before. 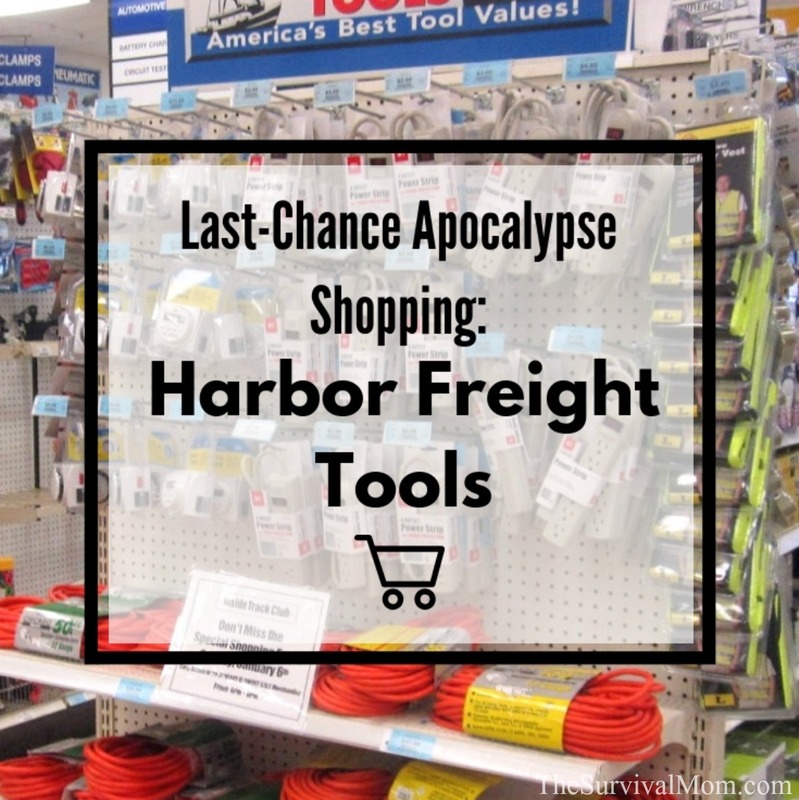 If you are near a Harbor Freight and have some to grab some emergency items, I would recommend these top ten items if you find yourself doing some last chance apocalypse shopping. There are higher quality tools on the market, but they come with higher price tags. These Pittsburgh brand tools have a lifetime warranty. If it breaks, just take it back to the store, if it’s still there after the apocalypse!, and they will replace it with a new one right there. They do have other Pittsburgh brand items also available. 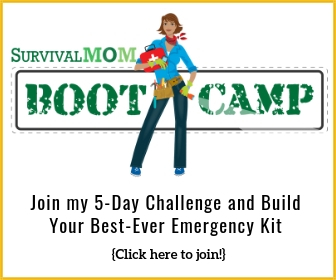 Do you have the tools needed for a disaster? Here is a list of what you should have in your preps for disaster recovery. If you happen to be doing a task on your own, this is the ladder for you. It is a foldable/collapsible multi-task ladder that is easy to handle. This ladder will be perfect for most of the work or chores that need to be done. These blankets are a value you can’t deny! They are thickly padded with a million uses. Not only do they provide a cushion for anything breakable, they can be used when a picnic blanket is forgotten, or you need to put a barrier between you and the ground. We keep them in our car trunks. My husband knelt on one when he had to change a tire in a suit. These blankets would also be in handy to use for covering a window or doorway, or to cover a freezer if the electricity is out. And, it can also be used as a blanket! If you were stuck in a blizzard, this blanket could keep you warm! Personally, I have a large stockpile of blankets and in this article, you can read all about my reasons why. Nitrile gloves are a must have for everyone! Pick up a box or two of gloves, you will use them before any disaster even happens. You can use them for automotive repairs, working with chemicals or cleaners or to protect yourself from bodily fluids. In the case of a viral outbreak, wear 2 to double the protection. 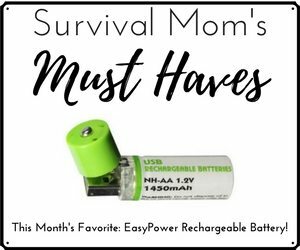 They are so affordable that you can buy a few boxes to place all over your home, garage, in your vehicle, and in each bug out bag or emergency kit. TIP- Another must-have for your emergency kits are heavy duty gloves, more than one pair. Keep a pair or two in each vehicle. It’s not easy find heavy duty gloves for kids, but gardening gloves are better than nothing. In the aftermath of a disaster, well-protected hands will be important for all the tasks required for putting life back to normal again. If you work with wood, you know that you can never have enough of these. They are useful for repairs and other home projects. In the days following the apocalyptic collapse, you may be on your own when it comes to major home repairs, building security fences, and other projects to fortify your home and property. Harbor Freight’s F-Style Aluminum Bar Clamps with padded jaws is one of the most recommended because of their quality. Again, you can find more expensive clamps, but Harbor Freight gives you a decent bar clamp for your money. Listed here are suggestions for a “Bug Out Tool Kit”. This is not a glamorous purchase, but a practical one. 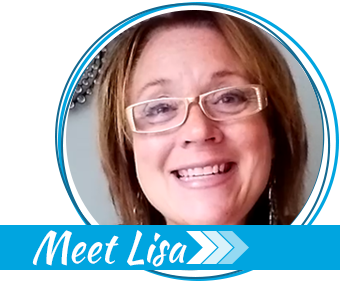 With a variety of sizes and colors, you will certainly find what you need. Fill your cart with many different sizes. They are handy for auto repairs, but also for everyday household uses. Read more about these 10 uses for zip ties. Like zip ties, this is not a purchase to get excited about, but so essential. The simple act of putting on glasses could save your eyesight when smoke, ash, wind, sand, and other debris is in the air as well as protecting your eyes when shooting guns. It’s easy to forget safety first. Safety glasses are lightweight and come in a variety of sizes and shapes. Pick up a few extra pairs for 72-hour kits and first aid kits. During a time when professional medical care may not be available, it’s even more vital to protect your eyes. Check out what you need to know about personal protective equipment. Most of us are familiar with the flashlight coupons that come in the mail from Harbor Freight. It is worth a quick trip to get several of them. In our home, we have them in almost every drawer and cupboard in the house. Don’t overlook other types of lights like rope lights, holiday string lights, and solar yard lights. Harbor Freight has a countless selection of lights in many styles, most are under $10. You never understand how dark, dark really is until you are in it. What is your family’s light plan? Educate yourself about flashlights. If the S hits the fan, generators are going to go fast. Leading up to and in the days following a hurricane, they are practically worth their weight in gold. If you manage to grab one of these in a disaster, you are lucky! (So buy one now.) For home use, you can get a sturdy unit that will have the power for what you need. Purchasing the right size and type of generator does require some research. Of course, with the apocalypse looming, you’ll probably just grab the first one you can, but start here so you’ll be ready to grab the right one. Harbor Freight garden tools have fiberglass handles, so no need to worry about splintering wood. The quality is in step for what you will be using for a home garden. The many wood splitting wedges and a variety of log splitters would be a coveted item if you live in an area near the woods. Now is the time to start prepping your garden for spring. Learn about the 24 ways to prepare for your spring garden in winter and how to care for your gardening tools when growing season is over. You can probably go into a Harbor Freight blindfolded and walk out with something that can be useful to you! 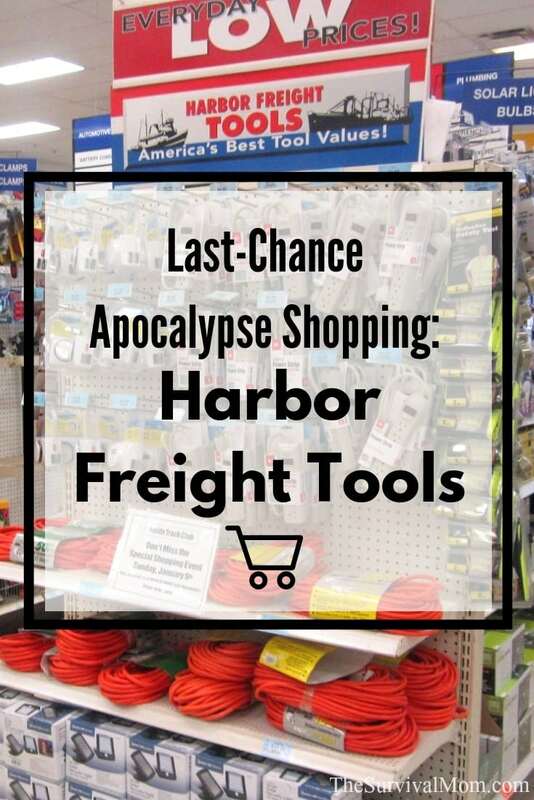 Swing by a Harbor Freight and see what is needed to improve your prepping. 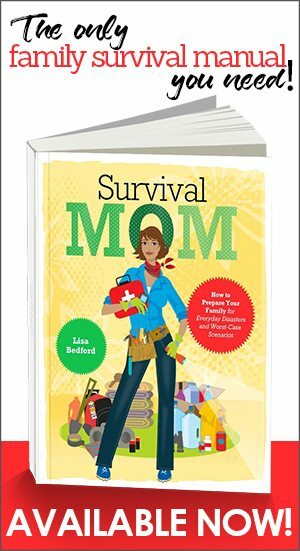 When is The Survival Mom not The Survival Mom? Hint: When she runs out of gas! Both of our(my wife and me) pickup trucks have high security gun safes bolted in. Along with “other survival items” is CASH.If certain conditions develop, she will drive 8 miles and buy an extra $500 dollars of groceries. On my way home I pass a different store,I will do the same.We have a well, and a natural spring for water. We have livestock and poultry. A lot of people talk about”hard times.” Let me tell you something. Hard times is when there is nothing to eat. I have found the moving blankets to be of poor quality. A couple of years in the truck and they were disintegrating most likely from the Az heat. Batteries! They’re comparable in quality to the ‘bunny’ batteries. Keep spares in with the bedside ‘black-out’ kits. If you subscribe to Harbor Freight flyers, by mail, they sometimes have coupons for 24 alkaline AA or AAA batteries for $4.99. I would also get a “Big foot” wagon they sell. Rated at 400 lbs load they work well in snow, sand, gravel and soft soil. Make a fair game cart for hauling back a deer. That’s a great suggestion! I totally agree.